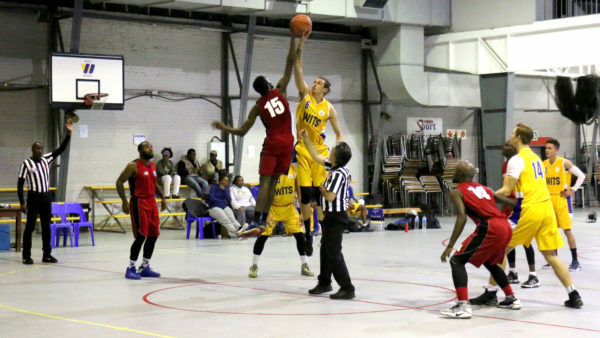 Wits men’s basketball first team was split evenly between two teams when they played in the Inner City School League (ICSL) against the University of Johannesburg (UJ) and Corinthians BWA on Thursday, April 12. The first match saw the Wits team in a race against the clock as they played against UJ. The Bucks unfortunately lost by five points with a final score of 73-78. The second game saw the team work better and they threw themselves into a fast-paced game against Corinthians BWA. The scoreboard was dominated in the first few minutes by Corinthians BWA but Wits were quick to make up the lost point for their team. The match resulted in a victory for the Bucks with a final score of 78-67. On Friday, the Wits Bucks were sitting in third place on the ICSL log. Their next game will be on Sunday, April 15, against Vaal University of Technology in the University League. Wits Vuvuzela, Horny Bucks leap to victory against ABA Eagles, March 2018. 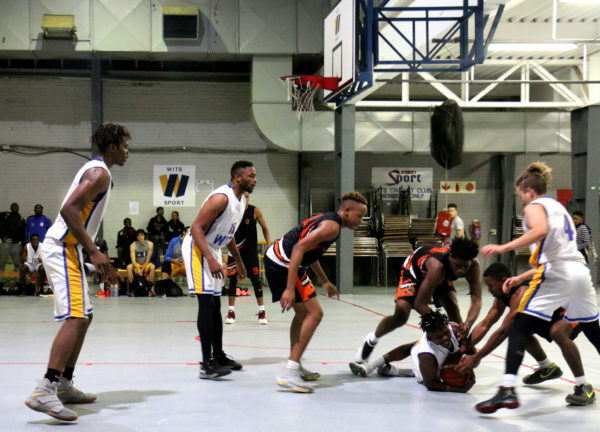 Wits Vuvuzela, Wits beats UJ in men’s St John’s Basketball tournament, March 2018.